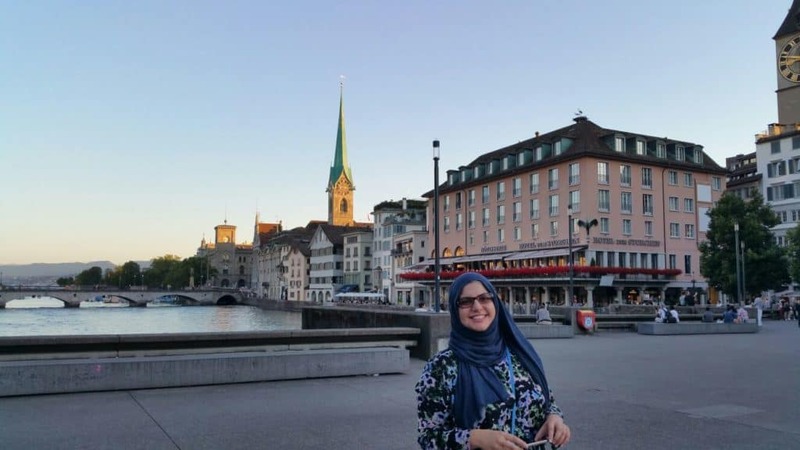 The Ultimate Guide When Exploring Zurich plus it’s Muslim Friendly. Switzerland is officially a Swiss Confederation country located in Western and Central Europe bordered by Italy, France, Germany, Austria, and Liechtenstein. Switzerland is divided into 26 cantons (German, French, Italian, Romansh) depending on their location. Cantons are called the member states of the Swiss Confederation. Interestingly Switzerland doesn’t have an official capital but rather a de facto capital, the city of Bern in the canton of Bern. Zurich is the largest city in Switzerland and the capital of the canton of Zurich. It is the most visited city in Switzerland and home to the largest financial district in the world, despite having only approximately 400,000 inhabitants. They are also a very popular tourist destination for Muslims and non-Muslims alike. It is a captivating and beautiful city visited by millions of visitors each year. Zurich’s train station is Europe’s main railway intersections with over 1,900 connections per day. Intercity trains leave every half an hour and connect many Swiss and European cities by train all within a few hours of each other, such as Paris, Miles, and Munich. It is also an airline hub for Swiss airlines which makes Zurich an easy to reach the city and a perfect place to visit whether it is for a weekend away or a family vacation. Positioned in the north-central Switzerland at the northwestern tip of Lake Zürich the official language of Zürich is German, but the main spoken language is the local variant of the Alemannic Swiss German dialect. 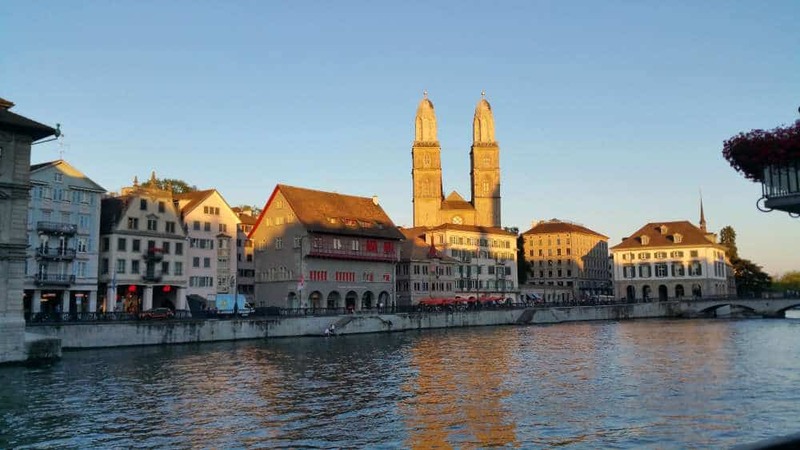 Zurich has been permanently settled for over 2000 years from the times of the Romans, however, there is evidence of early settlements dating back to 6,400 years B.C. 56 out of the 111 sites of the UNESCO prehistoric pile dwellings around the Alps are located in Switzerland. The prehistoric pile dwellings around the Alps are a series of settlements in and around the Alps built from around 5.000 to 500 B.C. on the edges of lakes, rivers or wetlands. Many of these prehistoric dwellings today are located under water or have been built on top of them. However many museums have exhibitions with artifacts from the era. These artifacts today present a true to life picture of what life in the Neolithic and Bronze era looked like. As a Muslim traveller, you will be spoiled for choice when it comes to finding Muslim-friendly attractions. There are plenty of museums, nature exploring and shopping activities ready to please every visitor. Lake Zurich or Zürichsee as it is known in Swiss is a lake extending on the southeast of the city of Zurich. The lake is formed by the river Linth which starts from the glaziers of the Glarus Alps; a form of mountains in the Swiss Alps. The lake offers beautiful views and creates a tangle of promenades, parks, and gardens which are perfect for exploring during your visit in Zurich. The views and scenery make this beautiful city even more attractive. During the summer many locals and tourist even swim in the lake on designates public beaches and baths. The waters can reach temperatures up to 20C during the hot month of August. One of the most fun ways of exploring Lake Zurich in the summer months is by taking a boat around its shore. It is definitely a must when visiting Zurich. One of the most breathtaking places in Zurich must be the Old Town (Altstadt), which is definitely the heart and beauty of Zurich. Striking 19th-century buildings and cobbled streets with a view of the lake make this part of Zurich truly magical. Beautiful cafes, shops, and galleries accommodate you through the small streets and beautiful buildings which inevitably end up by the shores of Lake Zurich. The old town makes the perfect starting point for exploring Zurich and it is the home to many of the city’s attractions. Highly recommend for you to enjoy the sunset in the Old Town since the glow of the sun alongside the beautiful buildings make a picturesque background drop for photos. The Swiss National Museum is one of the most important art museums of cultural history in Europe. It is located next to Zurich’s central station and within walking distance from the Old Town and Lake Zurich. The museum has a large collection of prehistoric pile-dwelling artifacts. Once you step into the museum you are taken on a journey from the prehistoric dwellings to the Middle Ages and all the way up to the 20th century. It also hosts a large gothic and porcelain collection as well as wooden sculptures, panel paintings, and carved altars. 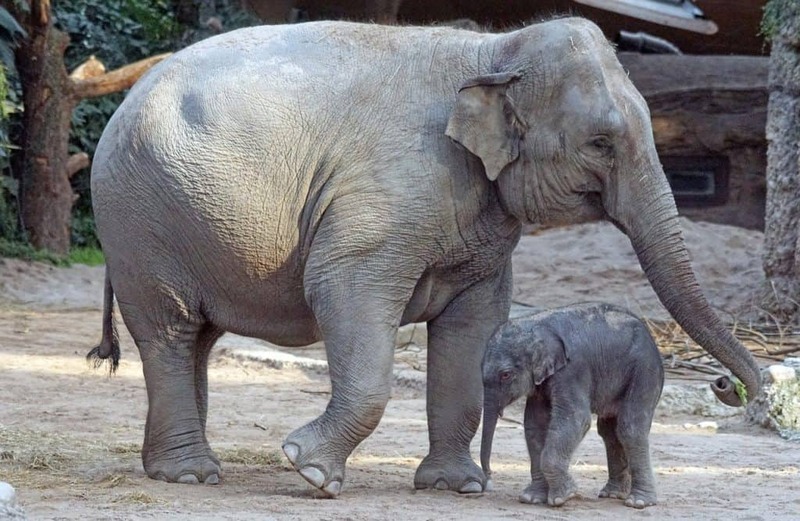 Zoo Zurich is located just above the city of Zurich in Zurichberg and it spans over 27 hectares of land. It is the largest and most visited cultural and educational institution in Zurich. The main objective of the Zoo is not only to provide a fun experience for its visitors but also to get people interested in animals and to encourage them to play an active and important role in nature conservation and protection of animals. The attraction is named after the Masoala peninsula in Madagascar and is the source for the hundreds of different native plants and 60 different native animals in this hall. Top attractions to visit in #Zurich for a great Muslim friendly experience. Time for shopping. Bahnhofstrasse is the main shopping area of Zurich located in the city centre. It is also a home to some of the most exclusive and expensive brands in the world if you can afford it will be one of a kind shopping experience. A great place to spend a day enjoying the old architectural buildings and strolling around some of the most expensive boutiques and banks in the world. 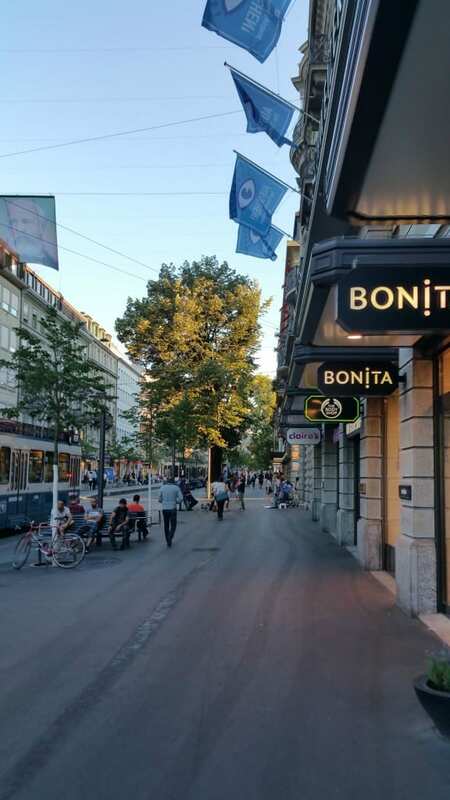 The street is largely pedestrian and starts from Zurich’s main train station taking you to the famous Paradeplatz square, home to some of the most expensive real estate properties in Europe. Zurich offers great transportation links not only within the city but also connecting to Zurich airport and other Swiss cities. A large number of locals as well as tourists use the public transport to reach and explore the city. It is easy to navigate, also all locals speak English and they are super friendly if you need help. I would highly recommend using the public transport as it is cheaper than taking taxis and also much safer. There are several prayer facilities in Zurich so finding a mosque would not be difficult. There are plenty of accommodation options for Zurich. Some cheaper than others and it all depends on your budget. If you want to find the best options I always start with Hotels.com and Tripadvisor. There is no off-season in Zurich. The city is beautiful all year around. However, if you do not enjoy crowds, avoid visiting Zurich during spring and summer when prices are higher and there are more tourists. Zurich is one of my favourite cities in Europe. The views over the alps, lake Zurich and the very friendly locals make it a perfect city to explore and visit over and over again. There is something magical about Zurich because every time you visit you fall in love with this city for different reasons. With many halal food options and places to pray there is not excuse not to visit Zurich this spring.